MacArthur Station is a new, urban infill neighborhood in Oakland directly adjacent to the MacArthur BART station. MacArthur Station will revitalize a part of the city that was trasected by construction of the 580 and 24 freeways. 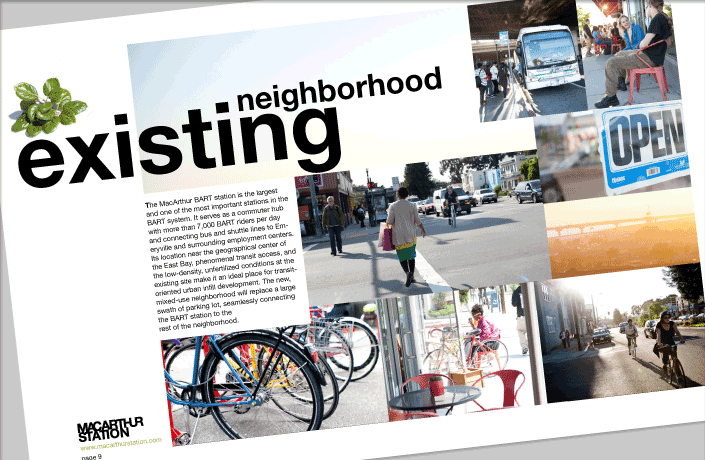 By replacing an at-grade parking lot with a mixed use, mixed-income community, MacArthur Station will join surrounding neighborhoods such as Temescal, Rockridge, Uptown Oakland on the list of up-and-coming Oakland places. L Studio worked with Bridge Housing to communicate the vision for MacArthur Station through graphics and messaging for both developers and the community. A versatile logotype was created that could be used with an eclectic mix of colors and graphic styles, from bright lettering to photo vignettes, to public art. These elements signal new opportunities for living, shopping and dining near one of the Bay Area’s primary transit hubs. The logotype for MacArthur Station employs modified block letters in dynamic arrangement. A super graphic treatment of the logotype in print and environmental graphics gives life and flexibility to the brand. 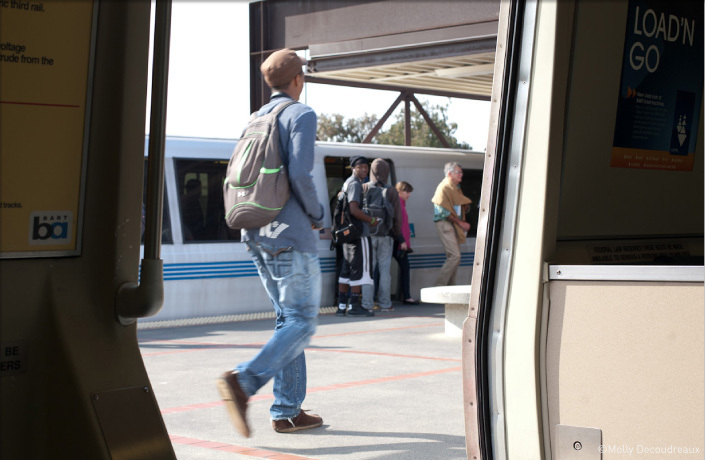 This book outlines the story of MacArthur Station as the Bay Area’s most transit-oriented community through photo layouts that capture the vibrance and potential of the neighborhood. 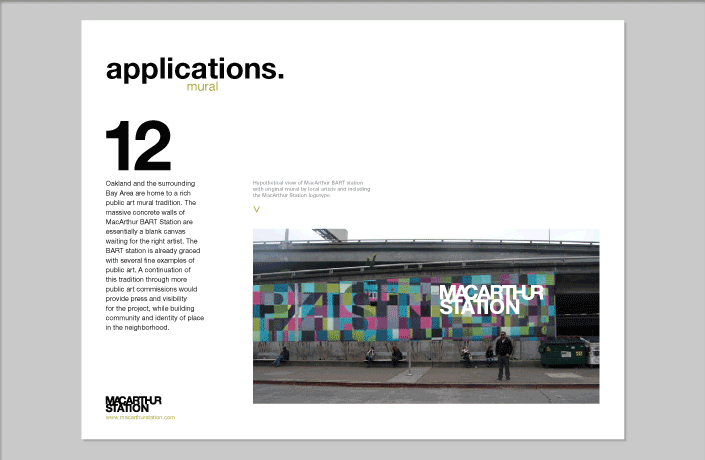 This document explains the graphic intent of the brand and provides concepts for future on-site graphics, as well as a potential public art campaign.